Super Bowl 2019 will use use 8K camera technology at the big game. Image: By Thomson200 - Own work, CC0. The event rotates between the broadcast networks, CBS Sports, NBC and Fox, which intensifies the competitive tension and increases pressure on each broadcaster to make its mark in the knowledge that it will have to wait three years for the next opportunity. NBC Sports made a splash at Super Bowl 2018 with its 200 hours of 4K coverage drawing on 106 cameras, including two SkyCam computer-controlled cable-suspended systems which will also feature this year. CBS Sports has gone one better for Super Bowl 2019 by featuring a single 8K camera for the first time at a live commercial broadcast event in the US, capturing video at 4320 x 7680 pixels per screen, or double 4K resolution. Although very few screens can display that resolution today, capturing 8K footage enables the camera to zoom in closer while sustaining adequate resolution. This will enable CBS to deliver more dramatic close-ups of the action from the end zone, including possible game changing plays. If whole frames are captured at 8K, a cropped section of the image will still have good resolution when expanded. The other major feature of Super Bowl 2019 will be AR for enhancing the video content, which has been used before so that the interest lies in how far CBS has progressed. The broadcaster has been coy about details in the hope that its AR will wow viewers with the impact on the day, but it will certainly go beyond mere incorporation of player statistics and other data. The appeal of AR lies in the ability to integrate immersive aspects of a scene that are perceived as part of the environment, so in the sporting context that could mean incorporating “what if scenarios” by digitally changing the footage. For example, during replays, it will be possible to model what might have happened if a given event had not taken place, or players could be kitted out digitally with a different uniform representing say their college team. In future viewers will be able to select alternative versions of the replay and perhaps even further ahead invent scenarios of their own for incorporation. The distinction between the real and virtual worlds will become increasingly blurred. 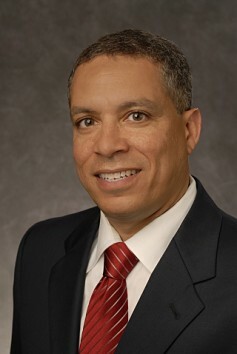 New stadia help improve the broadcast experience, according to Harold Bryant, Executive Producer and Senior Vice President, Production, CBS Sports. This year CBS is utilizing four cameras, including the SkyCam, for the live AR graphics, plus an additional 10 cameras that have trackable first down line technology. Pioneered by Sportsvision, the latter augments televised coverage of the sport by inserting graphical elements such as lines on the field of play as if they were physically present. The inserted element is fixed within the coordinates of the playing field and is consistent with real vision by obeying rules such as disappearing behind closer objects like occluding the view, such as the players themselves. The bedrock of innovation for CBS is still be 4K coverage, featuring 16 cameras with 4K capabilities, as well as nine Sony 4800 camera systems suitably located around the stadium. The latter provides additional live game camera angles, while allowing the production team to replay key moments of the game in super slo-motion. Even 4K boosts close-up capability significantly and CBS features an HD cut-out with zoomed-in perspectives at only slight resolution loss. Viewers can see plays from every angle as over 25 cameras flank each end zone, including the HD cameras with super slo-motion capabilities, as well as six 4K cameras and three goal post super slo-motion cameras shooting the backlines and 14 cameras embedded in pylons each side of the field. There are 28 pylon cameras in total contributing to the 50-plus camera feeds from the end zones. This year the Mercedes-Benz Stadium itself has contributed to the technical improvements, admitted Harold Bryant, Executive Producer and Senior Vice President, Production, CBS Sports. “New stadiums just make the setup better,” said Bryant. “They’re wired better, ready for the technology. Once you get the base in place, then you can make sure all the new toys and gadgets are working.” This, said Bryant, made it possible for CBS to deploy cameras “in places that you wouldn’t normally put cameras,” including high in the stadium’s overhead, circular video board. There has been less emphasis this year on streaming or local communications via Wi-Fi and cellular multicast. For several years, LTE Broadcast was demonstrated at Super Bowl, by Verizon for example, but CBS confirmed it is not featuring this year. Editor's Note:You can read more of The Broadcast Bridge's coverage of the 2019 Super Bowl broadcast and production in multiple articles. Get a behind-the-scenes look at the high-tech production. Just type "Super Bowl" in the home-page search box.